Prominent Egyptian activist and blogger Alaa Abd El Fattah was arrested in his home at approximately 10pm on Thursday, November 28. An arrest warrant was issued for Abd El Fattah this past Tuesday, following violent dispersal of protestors in Cairo. The blogger's father told local media he believed the arrest was made under a new law effectively banning street protest in Egypt. At least 51 people were arrested that day, among them several prominent activists. Many were beaten and sexually harrassed. 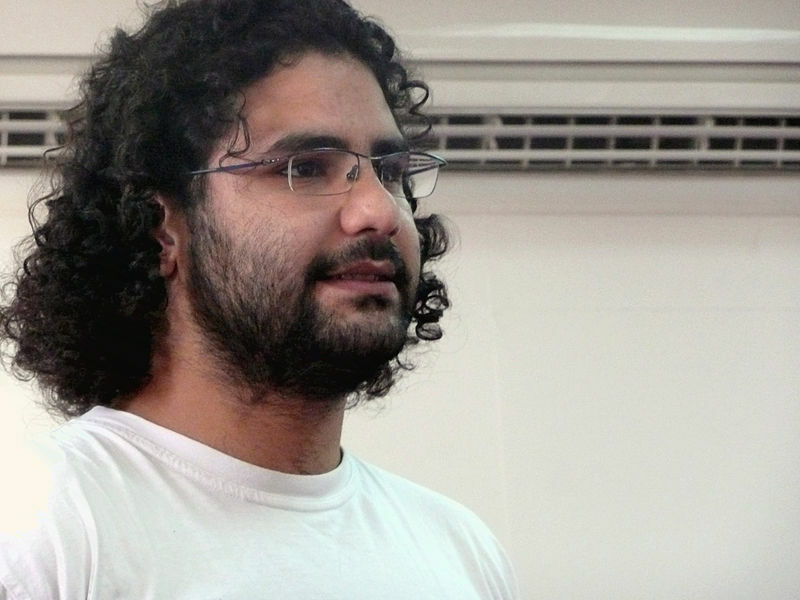 Alaa was taken by police despite having declared that he'd deliver himself to the police on Saturday, according to a statement he made and that his aunt, renowned Egyptian novelist Ahdaf Soueif, posted on Facebook. There is no known explanation of why the arrest took place today, given that Alaa had publicly stated that he would turn himself on Saturday. Alaa Abd El Fattah was jailed under Hosni Mubarak's regime for 45 days and again by the Supreme Council of the Armed Forces in 2011, when he remained in jail for almost two months. He also faced charges under Mohamed Morsi's government in 2013, along with popular satirist Bassem Youssef, in what many perceived to be politically motivated charges used as an intimidation tactic. Each time, the #FreeAlaa hashtag has resurfaced to show solidarity. It seems that this is back on track.